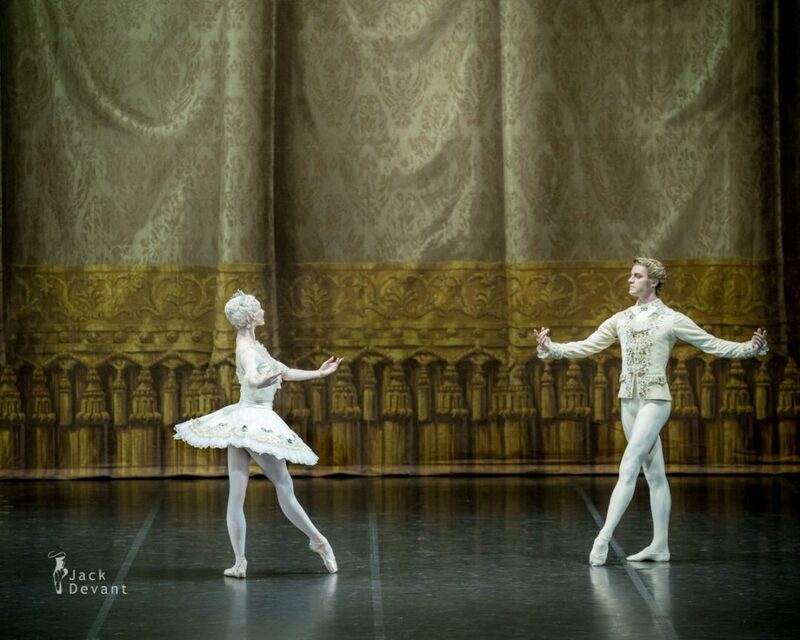 Olga Smirnova and Aleksandr Volchkov in The Sleeping Beauty, music by Pyotr Tchaikovsky, choreography by Marius Petipa. Eurasian Dance Festival 2017, Shot on 29.6.2017 in Astana Opera House. Olga Smirnova (Rus. Ольга Смирнова) was born 1991. 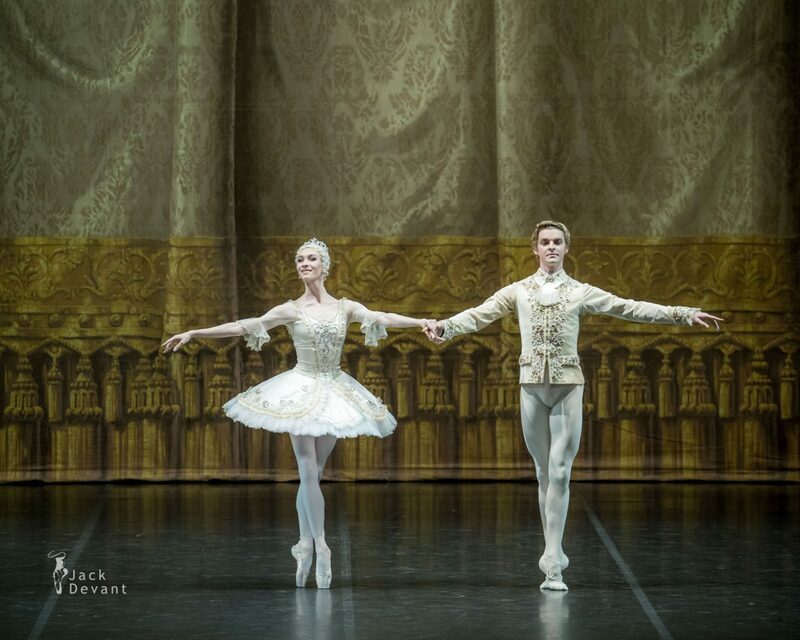 She is a Prima Ballerina with the Bolshoi Theatre Ballet company. Born in St Petersburg, Smirnova comes from a family with no connections with ballet. 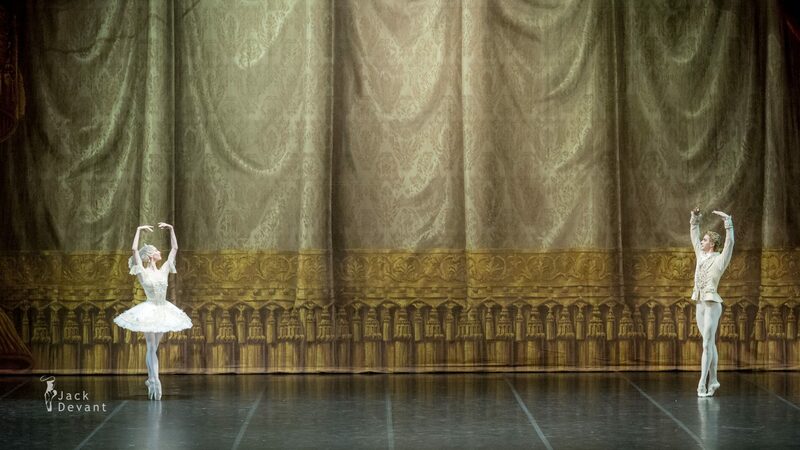 Her mother encouraged her to take up the art at the Vaganova Academy where she studied under Lyudmila Kovaleva. 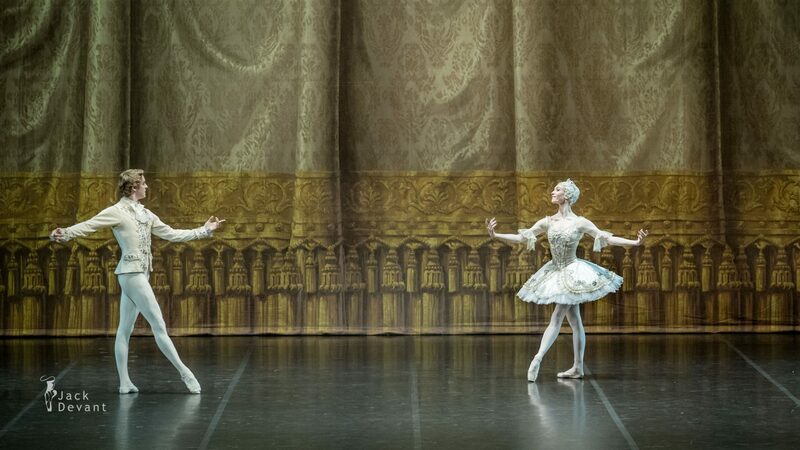 She participated in the academy’s tours across Europe and Japan, performing in the 2004 presentation arranged jointly with the Royal Ballet School. In 2011, immediately after her graduation, she was recruited by the Bolshoi and spent just one day in the corps de ballet before taking on solos. 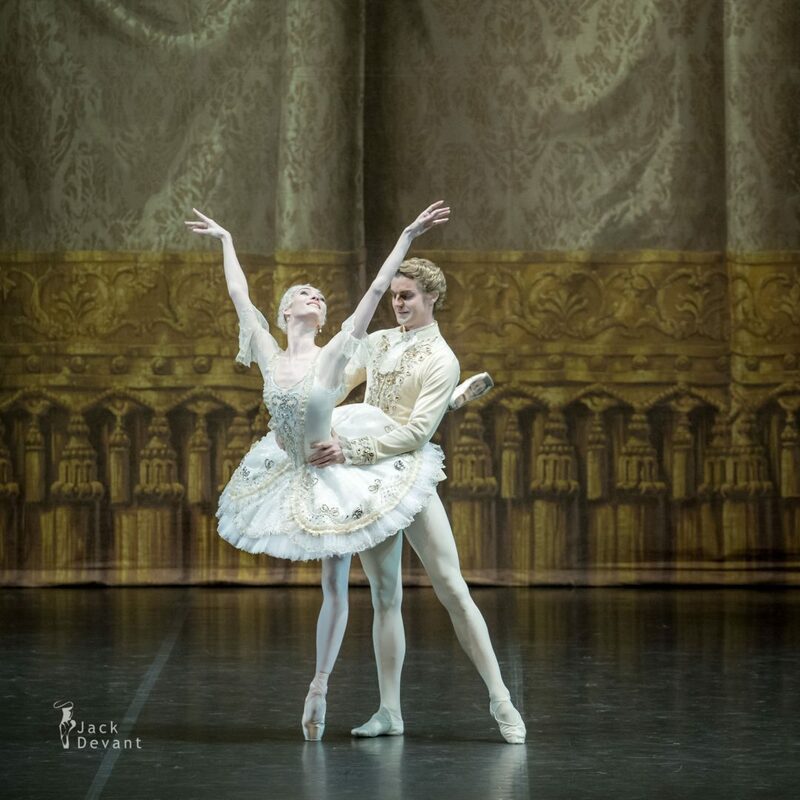 Having joined the company as a soloist, she was promoted to first soloist in her first season and to leading soloist at the end of her second season in 2013. 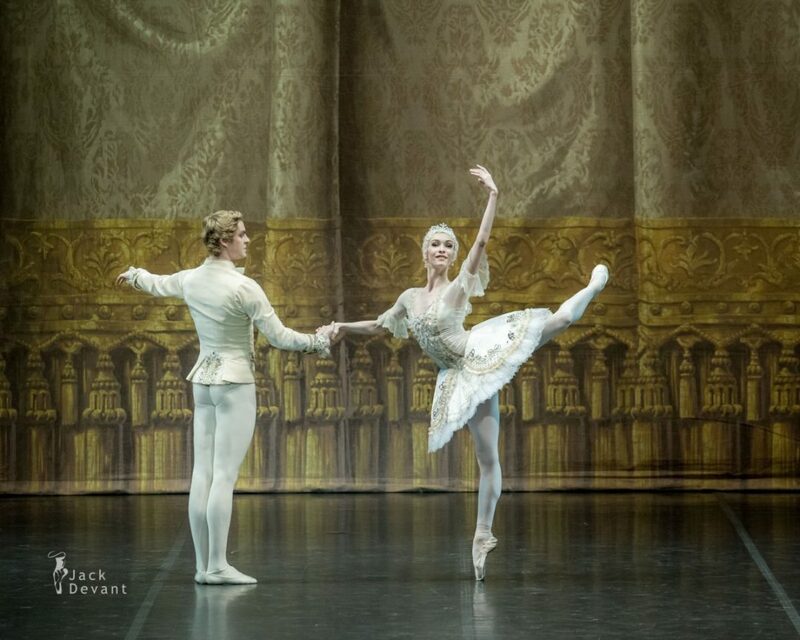 Smirnova made her debut with American Ballet Theatre in 2014. Aleksandr Volchkov (Rus. 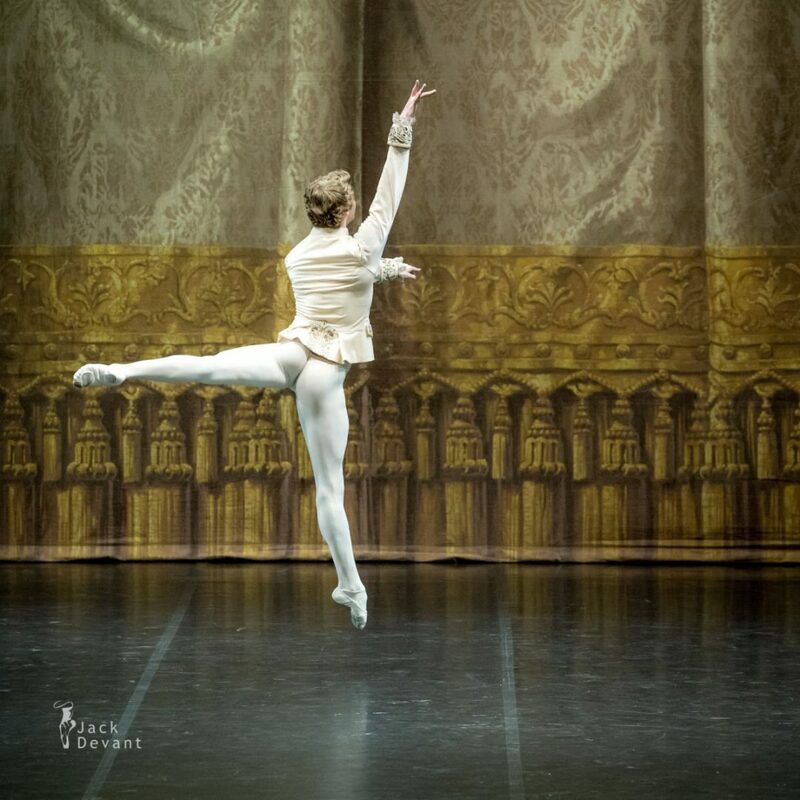 Александр Волчков) is a Principal Dancer with the Bolshoi Theatre balllet company. He was born in Moscow. 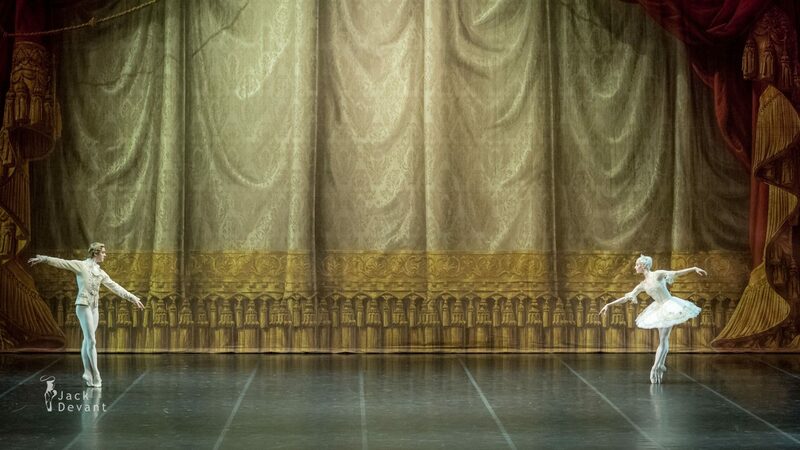 In 1997, having trained at the Moscow Choreographic College (today the Moscow Choreographic Academy), in Leonid Zhdanov’s class, he joined the Bolshoi Ballet Company. His constant coach is Vladimir Nikonov.